Charles and I just got back from a trip to Paris. That is Paris, France not Paris, TX. It was a last minute decision and a good distraction. I was hoping to find a way to tie gun related activities in to the trip. Not so easy when you are in a country that does not allow them. We certainly saw many AR’s! Europe has been on High Alert for possible terrorist attacks so there were many soldiers walking around the popular spots and airports. I asked a soldier if I could take a photo and of course he said no. He was nice about it though. They walked around very fast so I could not even sneak one in. But we did take a side trip that has every importance of History and our armed forces. 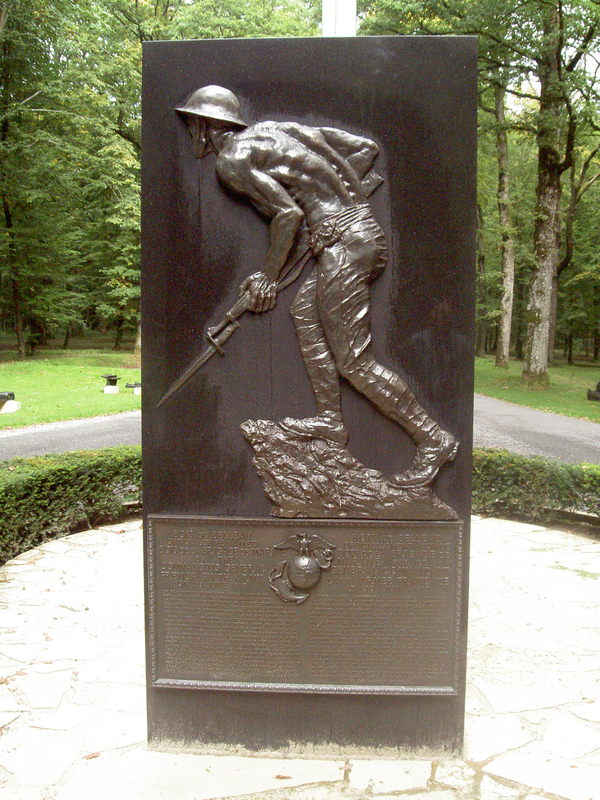 We rented a car and drove out to Belleau Wood. This is a famous WWI spot where the first Marine troops were brought in to help the French push Germany back from invading Paris. This was only an hour East of the city. Whew. We helped them win the battle and the Germans retreated but we lost about 60,000 troops in only a few weeks. We first visited the Chateau Thierry Monument which is an amazing structure! Look at the photo. I am only a speck in front of it. We were the only ones there. The cemetery at Belleau Wood was beautiful. Perfectly manicured gardens and Chapel. They buried all men with uniforms and each grave is marked with a marble stone with names and where each soldier was from and any honors. The chapel had all the names of people who’s bodies they never found. We hiked up the hill in to the Wood for about 1/4 mile and came across a bunch of canons/French 75’s that were found years later. Also was the memorial for the Marines in last photo. You could still see trenches and holes in the woods. Why did we go out to visit this spot? Well Charles was/is (once, always a Marine) a Marine of course! We spoke with the care taker/tour guide who lives on the premises. all war memorials and cemeteries all over the world to be kept up. We don’t pay a lease of course but we keep them up. Nice job US!